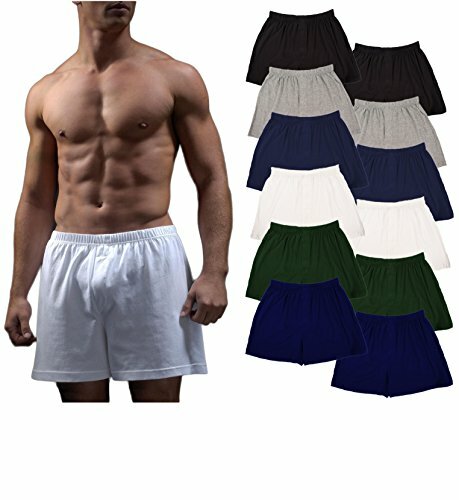 This Andrew Scott 12 Pack Boxer Collection in assorted Classic Core Colors features ultra-comfortable jersey cotton big and tall boxers & are perfect any time & day of the week. Sizes accommodating fit for any guy wide open leg holes for mobility, in a light weight fabric breathable cotton heat resistant fabric.. 1 1/4" cotton covered comfort waistband with hidden fly opening access for comfort. Tag Free & Super Soft Feel... Andrew Scott Basics sold exclusively by Best Brand Basics @Amazon.com Best Brand Basics -Stock Up & Save ...All our products all Quality Guaranteed. If you have any questions about this product by Andrew Scott, contact us by completing and submitting the form below. If you are looking for a specif part number, please include it with your message.